"That's no Moon...it's a Stretch Goal!!" The Third Stretch Goal is Revealed! You've voted, and your voice has been heard! 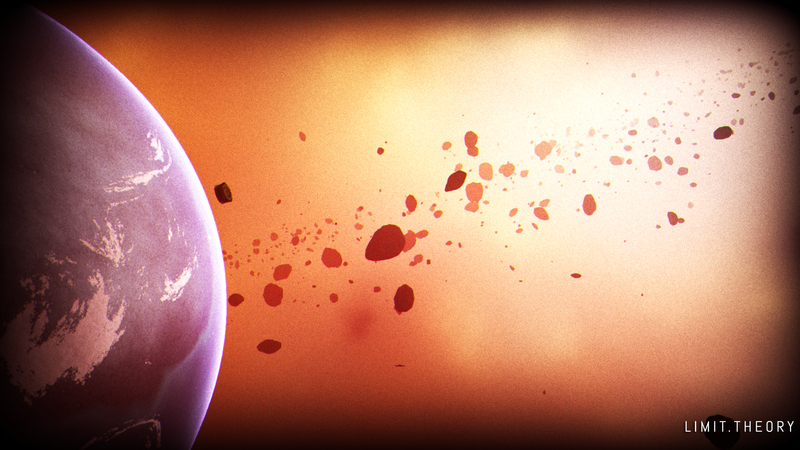 The vote was overwhelmingly in favor of allowing players to own planets. More details to come on what exactly this feature will entail, but, for now, let your imagination run wild as you picture yourself reigning over huge swaths of space! And start voting for the next stretch goal at http://forums.ltheory.com/viewtopic.php?f=8&t=21! 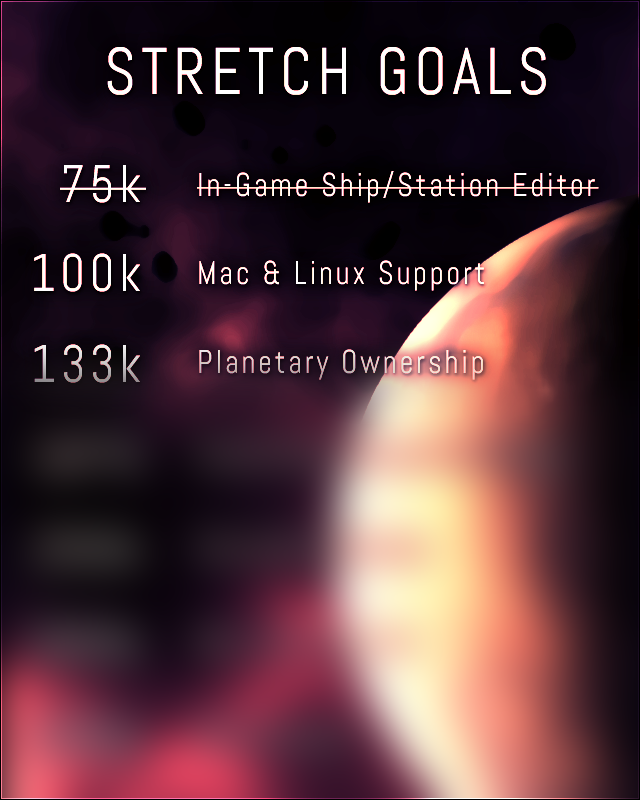 I've made the decision that stretch goals above $100K, starting with planetary ownership, will be realized as free, post-release content updates. Why? 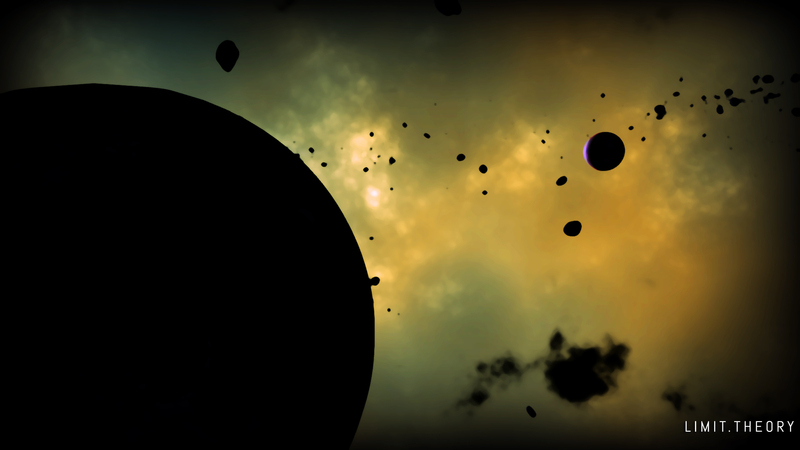 As you can see, there's quite a bit of functionality slated for the base game. 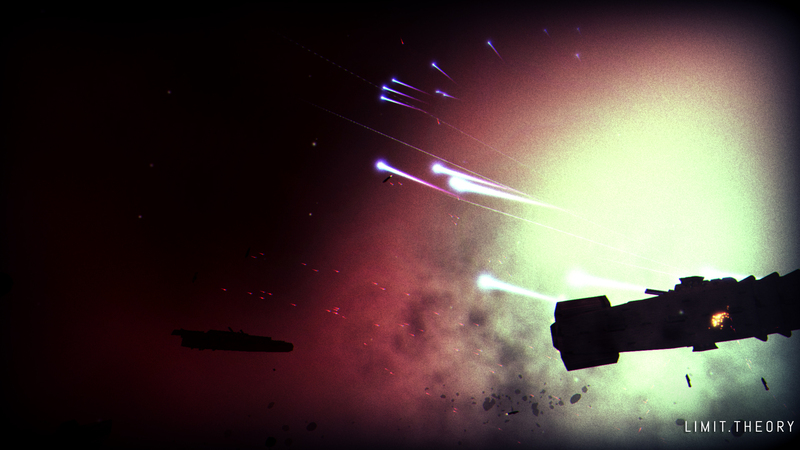 As we start to pile on more functionality, it will obviously take more development time to complete. Instead of delaying the release, I'd like to just put the basic game in your hands, and then augment it with free, post-release updates to give you the stretch goal content. Now, that doesn't exactly preclude the possibility of having these features in the first release - it just means that I won't promise that they'll ship with the game. If I do end up having more development time than anticipated, of course I'll try to put as much as possible in the initial release. But what I will promise is that you'll get the content, and you'll get it for free if you purchase the game! Some people have requested more wallpapers. I can't help but oblige! You can download the full-res versions at http://LTheory.com/media.html! Are you tired of these yet?? I did an interview with RockPaperShotgun, in case you're interested in reading: http://www.rockpapershotgun.com/2012/11/30/interview-limit-theory-creator-josh-parnell/. Going to agree with Kaeroku and Steve on the Stretch goals. When just your stretch amounts total 2-3x (or more) of your original project goal, there's something wrong. It's like selling a game for $50 and then adding on $150 worth of DLC or expansions. 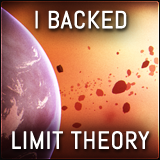 Not saying Limit Theory isn't going to be an amazing game - I am backing it after all. But I think you need to adjust stretch goals quickly before the end of the project, so you can actually realize a higher Kickstarter amount. I'd gladly have funded more than I did, but not with the goals set where they are. I don't believe an increase of 66% of your original goal to be a realistic increase for a single feature. It may be worth considering that many of us are backing primarily because we want to see this game made, but secondarily because we want to see this game be all it can be. 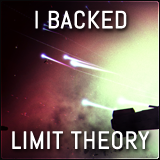 By the way, I'm a backer now! Obviously the stretch goals are there because people want the features... and I agree that your core game is feature packed and delaying dev time to add features is not how you want to do it. In any case, what I'm getting at is that I while agree with all your points-- not delaying dev time, ensuring the game meets it's original vision on release, offering free updates after the fact-- it occurs to me that making stretch goals increasingly difficult to reach (rather than easier) discourages those who would offer higher funding for stretch goals. (For Instance:) Project Eternity started with a lofty goal of 1.1M$. 1st stretch goal was 0.3M$ more, second was ... errr 0.2M$? I'd have to check. Then the rest were 0.1$M. Now, I agree that granular goals of high qty aren't the way to go, and as the development resources for your team compared to PE are significantly less. This is just me shamelessly trying to encourage you to not put the stretch goals out of (relatively) easy reach. 25k$ per goal is still effectively 1/2 your original budget per bonus feature. Some more great ideas. I also approve of post release updates. not only will it get the product out faster, you will be able to better correct any faults there may be quickly for everyone. A good decision to go for post-release updates. Planetary ownership is also approved, keep up the good work! Thanks everyone, glad you all tend to support my decision to finish the rest post-release! @Steve H - A fair question. The answer is that the base game includes an absurd amount of content already. Given the rate at which pledging is coming in, I can't really afford to make stretch goals in tiny increments, otherwise I'll run out...AND I'll have to give you the moon on a stick ;) Honestly, I could have taken out a lot of the core functionality and given more granular stretch goals, but I opted to stick loads of stuff in the base game, and that's why I'm hard-pressed to offer more features! @Dave - Yes, I'll be posting lots of stuff on my personal blog (http://anewmusic.com) as well as the official LT blog (limittheory.blogspot.com)! That RPS interview was great, I really enjoyed reading that. I agree with everyone here that you made the right choice regarding the post-release updates. Things have to remain manageable after all - don't burn out. :) Also, like Werner mentioned, great handling of the situation at those Matrix Games forums. I simply couldn't believe what this 'Kayoz' person was posting there. Staying polite and professional is always a win! Well handled. Yep, planetary management and ownership...awesome sauce. Really want that! Keep up the great work Josh! You're doing amazing job, I'm glad I pleged and helped you making this dream come true. Great stretch goal Josh and congratulations on your interview with RPS. Some attention from RPS never hurts a campaign's pledge totals. I was especially impressed by the way you handled Kayoz on the Matrix Games forums (linked in the RPS interview's comment section). You answered each of his negative and frankly cynical points with calm, polite, well reasoned responses. You sir, are a gentleman! If we get planetary ownership I want options as a ruler. Monarcy, Democrocy, Company, Hippy, etc. Why has the stretch goals jumped from 25k to 33k all of a sudden? Thats a considerable increase considering the amount of funding your asking let alone the huge increase for first two stetch goals. Fantastic plan, keep it up brother. You're gonna be upgrading the "studio" I imagine, parents house won't cut it anymore! When you tell your Mom about your incredibly successful project is she like "you're so smart I wish you would use your brain for something other than video games" parents pheww. Congrats man! I wholeheartedly approve of your decision to have stretch goals be post-release updates. That tells me as a backer that even though you don't have industry experience you are doing a very good job of recognizing the scope and timetable of the project. Which in turn tells me that you likely have a good grasp of the work necessary to complete the project, and improves my confidence in your ability to deliver significantly. Mate. Thanks for going post-release on these updates - it just sounds far wiser! on the vote page, the own planets is still an option of the vote process. last time it wiped out all the votes, and i re-logged in. and the stretch add ons wont delay the main game, so we can earn up some credits and resources to buy the planets by the time it does get released. I really like your plan for the stretch goals. Rather than delaying the game, providing free post-release updates for the backers is the perfect way to handle taking on the extra work that the stretch goals present. Looking forward to this very much! Really enjoyed the interview Josh and your reasoning on the stretch goals makes perfect sense. This is gonna be awesome, I think the work you have done so far is mind-blowing and i'm really looking forward to seeing the progress of the game as you develop it. Will you be doing a dev diary?